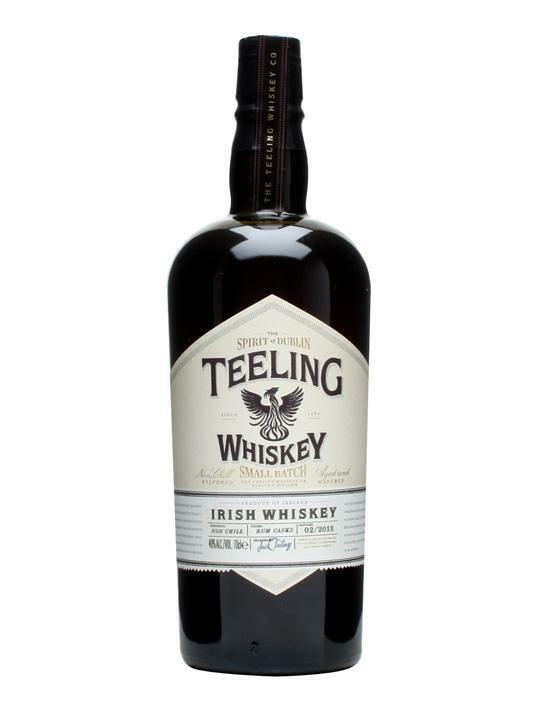 Teeling Distillery is an Irish whiskey distillery established in Dublin in 2015.It is the first new whiskey distillery to have opened in Dublin, once a world whiskey distilling capital, in over 125 years. In fact, with the last of the original Dublin distilleries having closed in 1976, it is the first whiskey distillery to operate in Dublin, once home to at least 37 distilleries, in almost 40 years. The distillery was established by Jack and Stephen Teeling, whose father John Teeling had founded the Cooley Distillery in 1987.The distillery is located in the Liberties area of Dublin, close to where Walter Teeling, an ancestor of the family had established a distillery on Marrowbone Lane in 1782. The symbol of the brand, a phoenix rising from a pot still, symbolises the re-establishment of the Teeling whiskey brand.
" Single Grain Whiskey is distilled using a continuous still or Coffey Still which produces a consistent if slightly characterless spirit when compared to pot still distillate. The secret therefore in producing a great single grain whiskey is in the quality of the grain used and in the maturation.